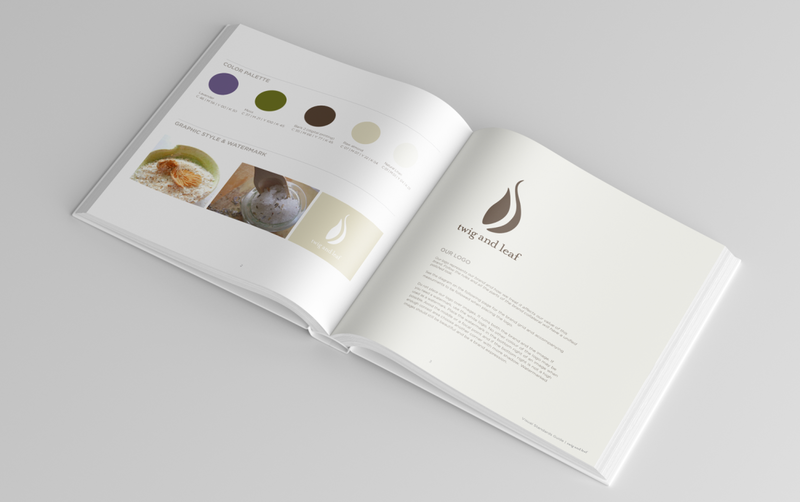 The aesthetic for Twig and Leaf was inspired by the client’s own delicate and ethereal photography. I worked by hand with ink and brush and the concept of a twig and a leaf was abstracted until a mark was developed that also suggested a droplet of tea. 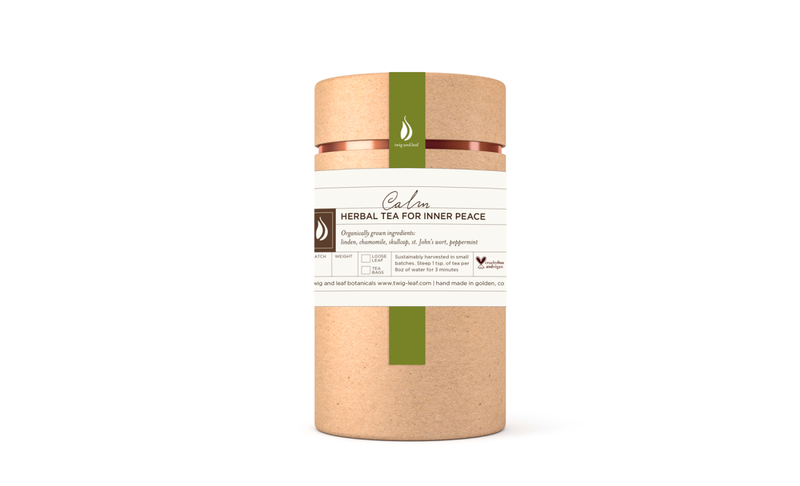 The concept for the tea packaging was driven by the company’s commitment to sustainability and cradle-to-grave theory. Paper tubes were tested and approved by the company and a label system was developed that echoed the era of the apothecary label with a modern twist. The client needed to be able to write in certain items like net weight and date for custom orders so these hand-written touches were included in the design so they would appear completely planned. Two goals were met in the re-design of the brand. The cost of the shipping and materials went down and the company opened their own independent online store.